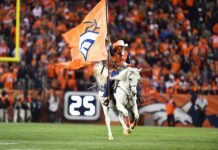 Denver’s preseason victory over Washington was a refreshing site for Broncos Country Friday night. Both the starting offense and defense dominated in the first half, and most importantly it was the first time Case Keenum has looked like the quarterback that nearly led Minnesota to the Super Bowl last season. 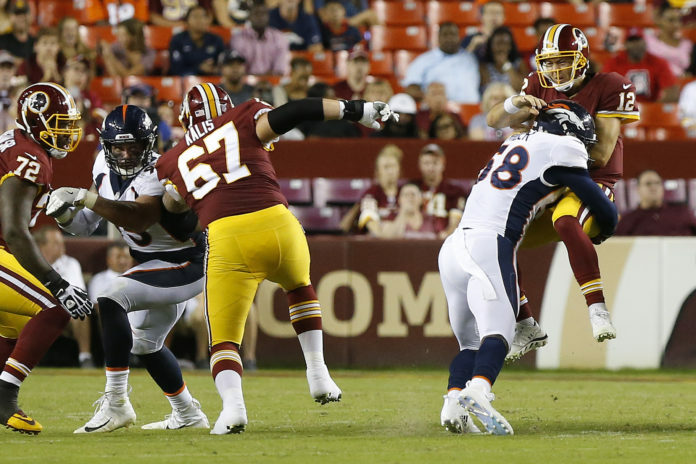 The Broncos starting quarterback led three first half scoring drives against the Redskins and efficiently moved the ball up and the field with ease. 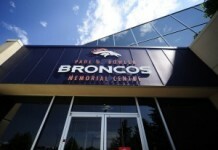 Along with a strong performance from Keenum under center, Denver’s young running backs really impressed in the victory. Royce Freeman only had five carries, but he made the best of it with a 24-yard touchdown run at the end of the first quarter. Not to be outdone by his former Pac-12 rival, Phillip Lindsay continued to be a jack of all trades and found multiple ways to make an impact in the victory. Lindsay carried the ball five times for 31 yards, recorded a tackle on punt coverage and had an 18-yard reception. The first-year player from Colorado has really taken advantage of his opportunity with the Broncos and likely has earned a spot on the 53-man roster. Of the running backs, the only player that really did not make any kind of impact was Devontae Booker. Booker carried the ball three times for nine yards in the victory, but really blended into the crowd. His roster spot is probably safe, but with the emergence of Freeman and Lindsay, Booker is going to need to step up his game in 2018. The final thing we learned in the preseason victory was Denver’s pass rush is going to be incredibly difficult for opposing offenses to scheme for. The starters consistently attacked the Redskins’ offense early and really overwhelmed their offensive line. 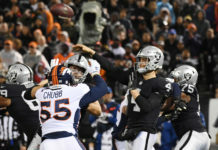 Denver’s starting defense came up with three sacks in the the first half and that pressure was paramount to getting a big lead. Obviously it was only a preseason game. But if Friday’s first half was indicative of what the starters will look like this season, the Broncos will certainly be much improved in 2018.